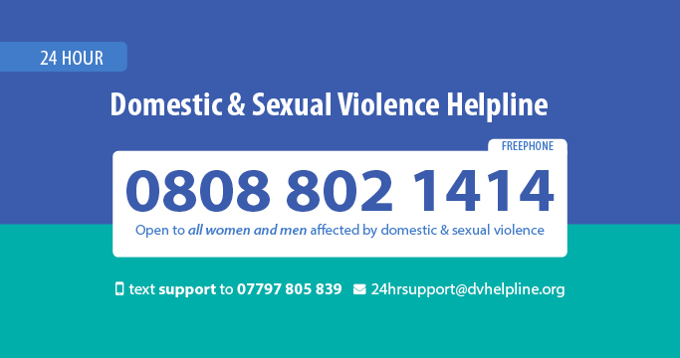 The 24 Hour Domestic & Sexual Violence Helpline provides a confidential telephone, email and text service, open all women and men affected by domestic & sexual violence.There are trained helpline workers waiting to take calls 24 hours a day, 7 days a week. The Helpline is open to anyone affected by domestic & sexual violence regardless of gender, sexuality, disability, age or ethnicity. The Helpline takes calls from those directly affected by domestic violence and also friends and families seeking to support those experiencing domestic & sexual violence. They also receive calls from voluntary and statutory agencies and provide an information service to help them meet the needs of those experiencing domestic violence.